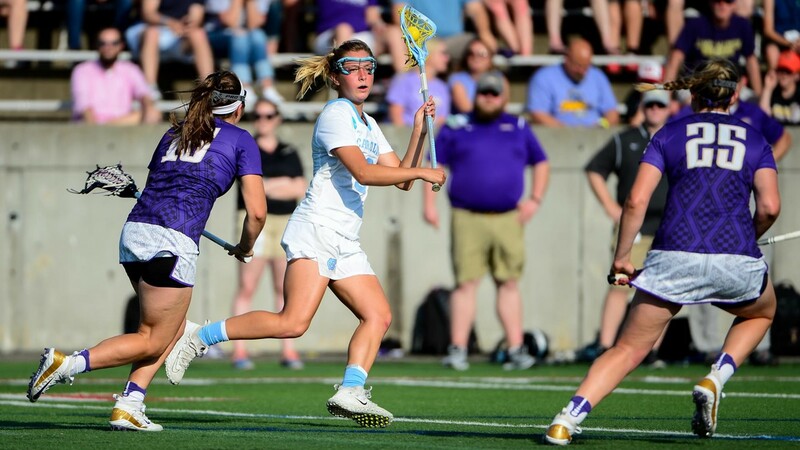 The second-ranked UNC women’s lacrosse team made quite the statement Saturday afternoon in its season opener at Kenan Stadium, as it rolled to a dominant 18-7 blowout victory over No. 4 James Madison. This comes after James Madison defeated the Tar Heels twice last season on its way to a national title. UNC came right out of the gates and started piling up the goals, opening up a 4-0 lead in the first eight minutes of action. By halftime, the Tar Heels led 9-3 and any doubt over the final outcome was already dead and gone. Nine different players scored at least one goal for the Tar Heels, with sophomore attacker Jamie Ortega leading the way with five by herself. In addition, freshman Tayler Warehime added four of her own. It was an all-around outstanding performance for UNC, which outshot James Madison 32-19 and won 22 of the game’s 27 draw controls.